Pew would live in a church like this? 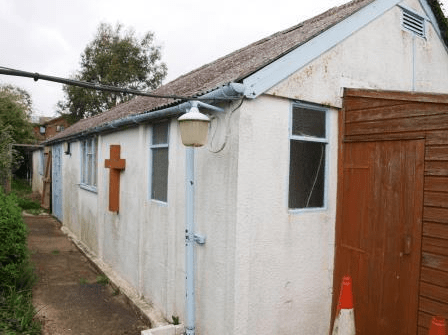 That remains a mystery, after an anonymous buyer snapped up Beltinge Methodist Church. The site in Glenbervie Drive was sold at auction for £46,000, despite only being expected to fetch between £30,000 and £35,000. It is not yet known who bought the church, or what plans they have for it. Also on sale was a three-bedroom detached house at 133 Reculver Road in Herne Bay, which sold for £182,000. £198k to spend a penny at underground toilets!